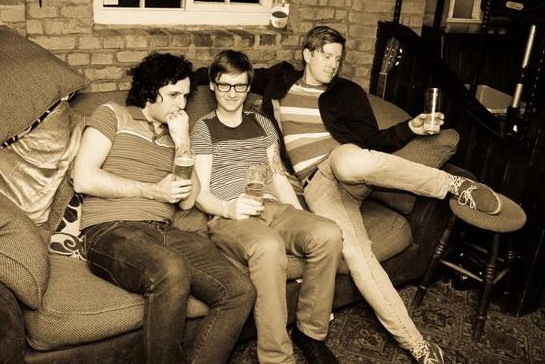 The music scene in our City (Hull) is very Indie based. The local bands like to play music that was popular 5 years ago, guitar heavy, and lots of up and down movements. A couple of our favorite local bands are Street Parade and The Walls. Episode 107 was ace, it was good to get someone else's opinion on our music. Although were still working more with the tools then the musical instruments. 4. Is there a story behind your song "Slush Fund Blues"? Slush Fund Blues started life as a bass fill for a different song. We thought it was strong enough to build a whole new song around. Chris 'The Judge' Flynn got a fast paced, thumping drum beat behind it then Steve came up with the catch riff running over the top. That, layered up with some effects (or floor clunge) and the song evolved from there. We are currently at the start of our Summer tour. So far we've played Barton and Sunderland. Coming up is Cottingham, Welford, Hull, Glastonbury, Cambridge and many more. Check out our facebook page for more details. New material is being written over the next few months and hopefully we will have another new release around October time.